You’ve heard it before, and the saying is true: you only get one shot to make a great first impression. In today’s world of social media scrolling and online booking, the internet is likely where your client will initially make that impression, but despite the many digital avenues one can take to get to know your business, phone calls are still a number one business communications channel whether it’s to inquire about services or for client/customer support. 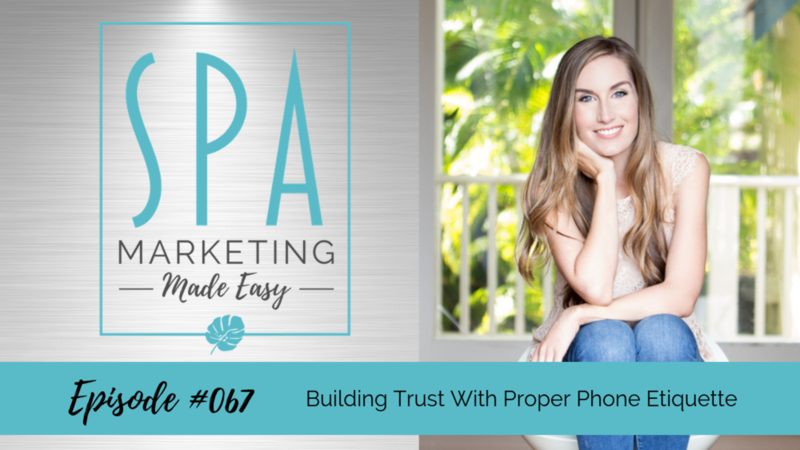 I know how aggravating phone calls can feel, especially when you’re slammed and the phone is ringing off the hook, or you’ll get a call from someone who’s asking questions with answers that can all be found on your website. The phone is an opportunity for a one-on-one conversation that can create a deeper connection more quickly than other forms of communication such as email or messaging, so embrace it! However, having a great call that leads to a consult or a booking (or a happy client when receiving a call that doesn’t start off on the best foot) doesn’t result from merely being friendly on the phone. It’s the first step of your client’s journey, so it must be handled with the utmost care and etiquette so you can create a connection and begin building trust or deepening the trust you have with your clientele.